We know that most homeless people are not panhandlers and there are many myths regarding panhandling in America, but a small number of homeless do seek money on the streets. There are still menacing, stalking, criminal trespassing, assault, theft by deception laws in place that can regulate illegal behavior on the sidewalk. An aggressive panhandler who claims to be raising money for a charity or those who refuse to take “no” for an answer can be charged with a number of misdemeanors. There is also the often abused “disorderly conduct” that is overly broad, ill-defined and used excessively by law enforcement as a catchall for anything they do not like. 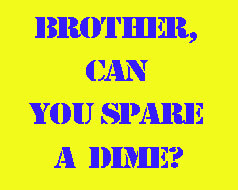 In place of the panhandling law, there is a new law (471.06) that prohibits soliciting from a driver of a vehicle. You can no longer stand on the sidewalk or at the freeway entrance/exit ramp and hold a sign to ask for money from cars. There are far more people engaged in this activity at nearly every freeway exit on the I-71/90 on the West Side of Cleveland. There are more and more people on the sidewalks on both the East side and West Side trying to flag down traffic. We imagine that there will be stepped up enforcement of these prohibitions on asking for money from passing vehicles. Here is a the new law which also looks at riding in the back of pickup trucks? The ACLU still has to negotiate a damages settlement with the panhandler who filed suit against the City of Cleveland. NEOCH is a party to this lawsuit so if you have any issues or if there are panhandlers who are continuing to experience problems you can have them contact NEOCH at 216/432-0540. We have a lawyer on the NEOCH Board who is in regular contact with the ACLU regarding this case.